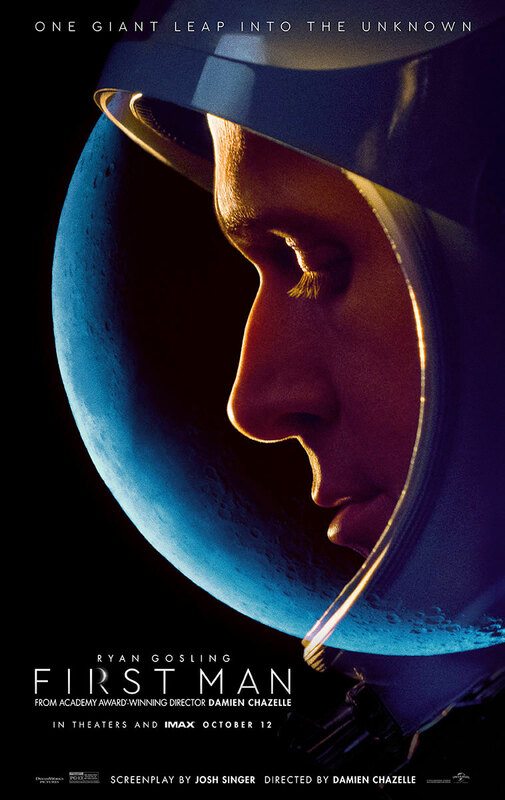 — "First Man," Damien Chazelle's Neil Armstrong docudrama starring Ryan Gosling as the late Apollo astronaut, has lifted off, soaring high on the praise from its world premiere. The movie, which debuted at the Venice International Film Festival in Italy on Wednesday (Aug. 29) — a month and a half before it opens wide in theaters on Oct. 12 — follows Armstrong's personal and professional life as he went from being a NASA research pilot to an astronaut and ultimately the first man to walk on the moon between 1962 and 1969. The film is based on the authorized biography by historian James Hansen, adapted by screenwriter Josh Singer. "Damien Chazelle's film about Neil Armstrong's journey through the space program is a drama so revelatory in its realism that it shoots the moon," writes Owen Gleiberman for Variety. "The movie redefines what space travel is — the way it lives inside our imaginations — by capturing, for the first time, what the stakes really were." 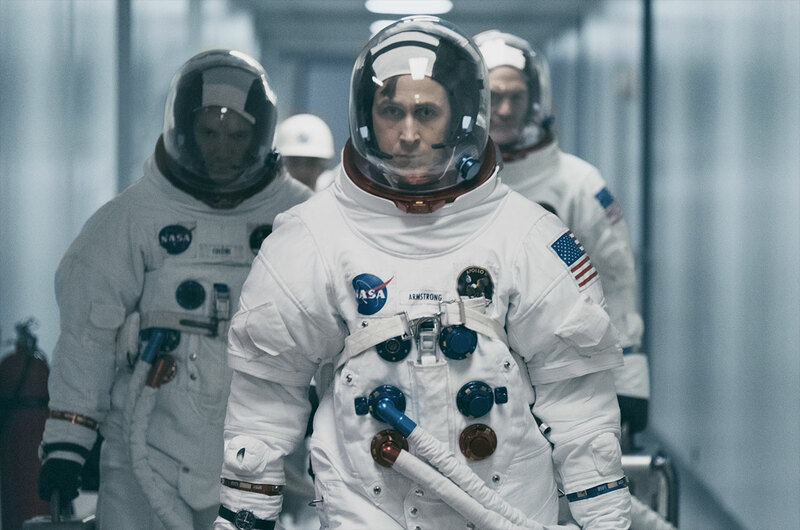 "After seeing 'First Man,' it's doubtful you'll think about space flight, or Armstrong's historic walk, in quite the same way," says Gleiberman. Robbie Collins, writing for The Telegraph, also praised Chazelle's ability to reframe what audiences might know about Armstrong's story, making it feel new. "Chazelle has opted to leave spectacle to the blockbusters and instead aims for awe — which is related, but different, and harder to pull off. The former shows you something you haven't seen before. The latter involves showing you something you see every day from a perspective that makes it newly strange," writes Collins. Many of the reviews also praise Gosling and his fellow cast for their portrayals of Armstrong, his crewmates and family. "Gosling gives a performance of muscular intelligence and decency as Armstrong, a man of calm and restraint, lacking what no one in the 1960s called emotional intelligence," writes Peter Bradshaw for The Guardian. "The film suggests that this absence of a normal human boiling point is vital to his success: he stays cool and focused in the spacecraft under conditions that would reduce most people to a blinding panic." Gosling's "natural charisma" could have been an issue here, but as David Rooney for The Hollywood Reporter points out, here it is downplayed to good effect. "Gosling pulls you in on an intimate level, whether Armstrong is tackling life-or-death situations midmission or simply staring at the moon from his backyard, as if the distant image somehow holds the secret to a successful landing. It's a subdued, almost self-effacing performance that nonetheless provides the drama with a commanding center," writes Rooney. Claire Foy takes on Janet Armstrong, the astronaut's first wife and mother to his three children. "Foy brings emotional power to a woman who has been mostly sidelined by history, keeping a brave face at home for her children while constantly worrying that her husband, like so many of his peers, just won't come home one day," Alonso Duralde writes for TheWrap. "Being an astronaut's wife looks like a thankless role in real life and it's no great gift to an actress, but Claire Foy approaches the part with a matter-of-fact intelligence which gives a great deal of weight to Janet, who only died in June of this year," says Fionnuala Halligan for Screen International. The film also features Jason Clarke, Kyle Chandler and Corey Stoll as astronauts Ed White, Deke Slayton and Buzz Aldrin, all hailed as standouts by Jessica Kiang in The Playlist. "The cast of 'First Man' is largely comprised of various NASA employees who play their parts well, but remain mostly faceless," writes David Opie for Digital Spy. "The main exception here is Corey Stoll, the former 'Ant-Man' villain whose blunt take on astronaut Buzz Aldrin injects some welcome energy into the story." 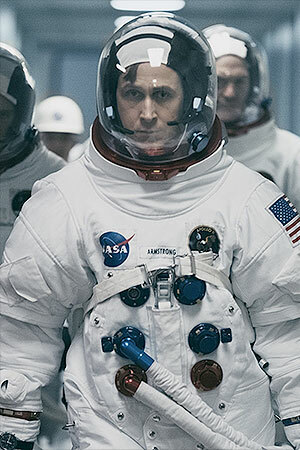 "You already know how 'First Man' ends," notes Michael Nordine for IndieWire. There really is no hiding the fact that regardless of how Chazelle builds up to it, Armstrong (Gosling) is ultimately shown taking his famous "small step" onto the moon. To that end, Universal Pictures' new trailer for "First Man" released online after the premiere on Wednesday does not even bother to hide it. 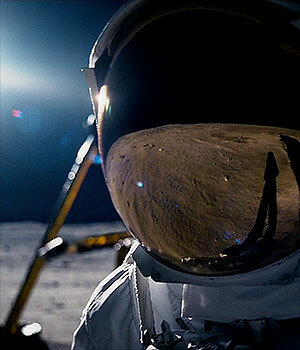 The teaser closes with a clear shot of a spacesuited astronaut standing on the lunar surface. It is what Chazelle chose not to depict that reviewers found intriguing. "It's not a comprehensive look at the Apollo 11 mission, but revisits that famous story from a more intimate angle, even as it delivers a satisfying ride," Nordine writes. "Some might wonder why Chazelle avoids showing that iconic moment when Armstrong planted the American flag. Sure, this could have been a deliberately anti-nationalist choice on the director's part, but it's far more likely that the flag was omitted to remind us that 'First Man' is more about Armstrong's own personal journey than any space-faring adventures he took," says Opie for Digital Spy. 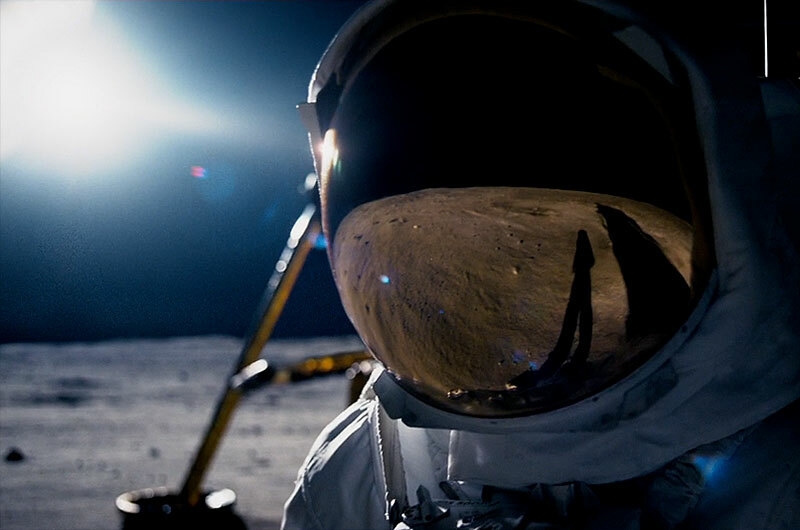 And therein lies the real awe of "First Man": Chazelle finds a way for Armstrong to outshine the moon. "In a film that has the moon landing and multiple rocket launches, he resists the obvious temptation to rely on technical wizardry. This is a human story, remarkably well told," writes David Lister for The Independent.